UPDATE: I was selected as one of the top 25 entries, so I'll get to compete in the challenge! Stay tuned to see what I come up with! The Foodie BlogRoll has presented a challenge that struck me at my core. Partnering with Marx Foods, a company dedicated to providing premium restaurant supply food products that now sells straight to the public as well, they have given 25 bloggers the opportunity to create a custom dish with superb products. I can only hope to be one of the chosen 25! To enter, I have to respond to these five questions, so let's get after it. I love a good challenge. Anything that will stretch my mind's culinary capacity and get me to be creative in the kitchen is a good thing. The idea behind this contest, receiving a package of eight surprise ingredients and then having to create a signature dish using three of them, is really a foodie dream. Oftentimes the best meals are spontaneous and just thrown together, showing off more art than science in the kitchen. Being creative and playing with food is what it's all about, and I'd be excited to see what I could come up with the eight Marx Foods ingredients! Maybe I'll get a little seafood online like from an online fish market. Perhaps there won't be any seafood at all, but instead a bunch of different herbs and spices for which I'll have to break out my professional cookware. Only time will tell. Either way, I'll make sure to cook up something great! If I could spend a say in the kitchen with a chef it would be the late, great, legendary Justin Wilson. 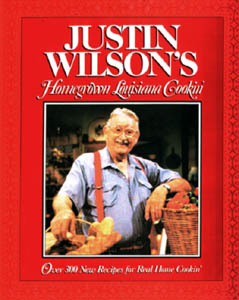 Justin is in many ways the father of celebrity Cajun chefs. He was an ambassador for Louisiana food for over 60 years contributing cook books, recipes, public television shows, songs, jokes, stories, and more. Sadly, Justin, who was born in 1914, passed away in 2001. If I could spend a day with him in his kitchen, I have no doubt that it would be a great time and that I'd learn a tremendous amount about Cajun cooking, "I garontee"! What morsel are you most likely to swipe from family & friends’ plates when they aren’t looking? I like to get a little taste of everything at meals, so when I eat out at a restaurant or sit down to a big meal with family and friends, I like to sample as much as possible. If somebody next to me or even across the table has something different than me, I'm gonna want a bite, no matter what it is. Usually I'll offer to share some of mine in return for a bite off of their plate, but every now and then my fork just wanders over. Sometimes it is something simple like a French fry or piece of buttery bread. However, I've also been known to snag a shrimp, take a bite out of a burger, or swipe a morsel of juicy steak. Don't worry though, it is all going to a good cause! The meal to describe my childhood would begin with my mother's cheesy tortilla soup. While I could eat it as a meal in itself, it would certainly have to be a starter to sum up my entire childhood. The main course would be a Smörgåsbord of meats grilled over South Texas mesquite wood. My father took me hunting a lot while I was growing up, and we always cooked outdoors at the deer camp over a mesquite fire with stars lighting up the Texas sky. We'd grill steaks, ribs, venison chops, quail, dove, pork chops, and even an occasional rattle snake. Mesquite barbeque would definitely have a place in my childhood meal. 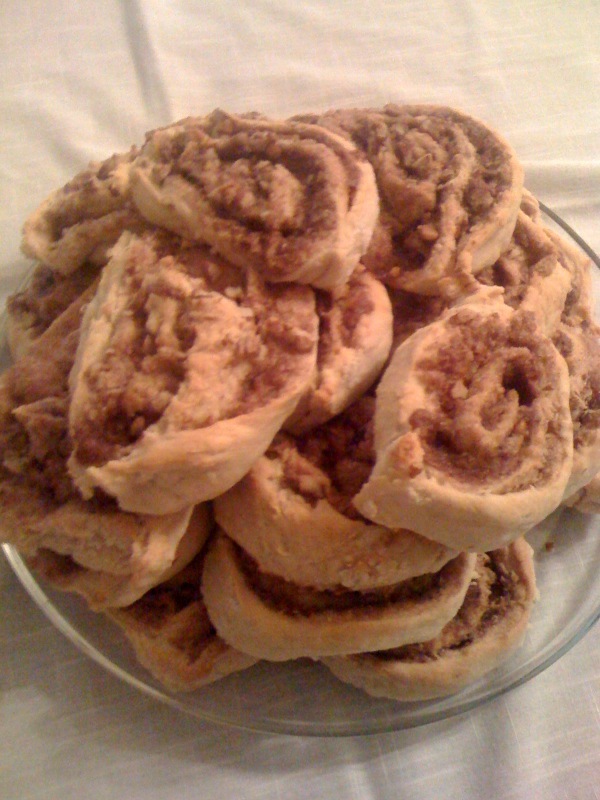 For a side dish I'd have Granny's famous pecan rolls. While typically a breakfast food, these sweet and nutty baked biscuits of deliciousness would go perfectly with the seasoned and smoky meats from the grill. Finally, no meal is complete without dessert. I'd give anything to end this childhood meal with one of Aunt Turtle's cheesecakes. Her blueberry-banana cheesecake is a work of art, and if I'm not careful, I'll end up eating the whole thing even after this childhood memory feeding frenzy! People that are regular readers of Bite and Booze know one food I can't stand... pickles. There is something about a cucumber soaked in vinegar that repulses me. Pickles make me cringe at first taste or smell. I can't even really watch other people eat pickles without my stomach getting a little queazy. In Louisiana, we see a lot of fried pickles. Everyone tells me that I'll love them... but I've given them a try, and nope, no good. Dis-gust-ing! Pickles often get misplaced on my burgers and poboys... and that is never fun. The best thing for me to do is just avoid pickles at all cost. Life is just better that way. There! I've done it. Now I just hope that I'll be selected by the Foodie BlogRoll and Marx Foods as one of the 25 contestants! Wish me luck! Congratulations on being chosen as one of the 25 challengers! It will be a pleasure to compete in this great challenge with you! Best of luck!! btw....I love Justin Wilson too! Such a character and awesome chef!